1. 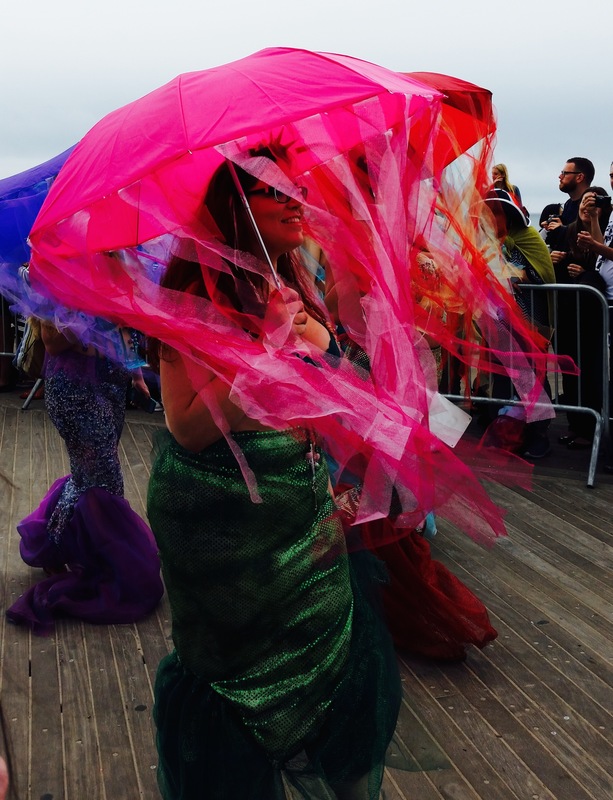 I loved that on the subway from Downtown Brooklyn to Coney Island, the people who had gotten all decked out in mermaid gear and began to accumulate the nearer we got to our destination consisted of families, couples, and drag queens alike. I’ll probably love any event draws such a range. 2. 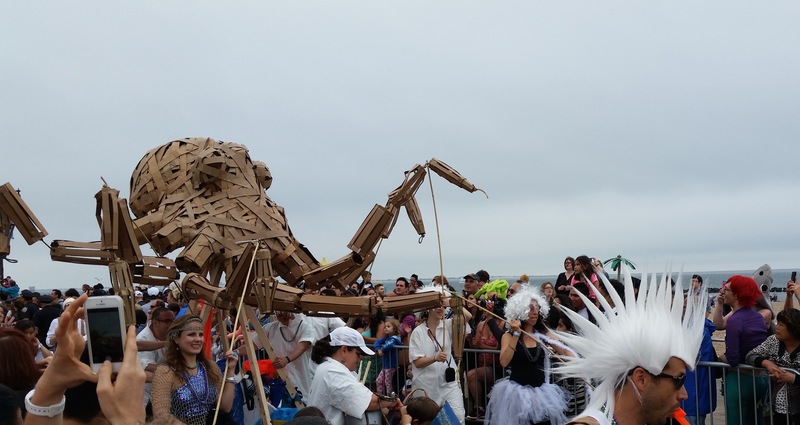 I think that if you’re going to go out of your way to visit a place like Coney Island, which has such a fascinating and rich history of celebration, you may as well go all out and visit during some sort of festival. 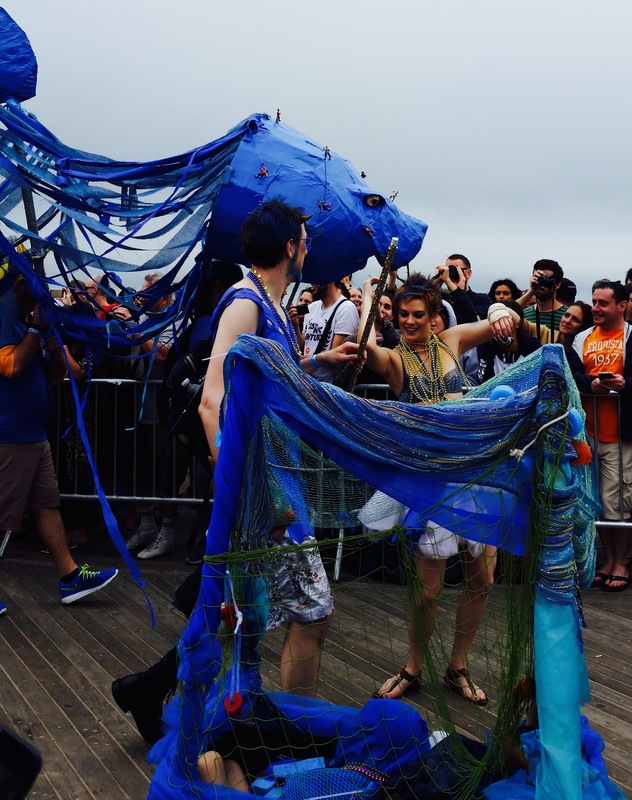 Coney Island is a festival in itself, but parades and themed events at Coney Island accentuate its best features. 3. 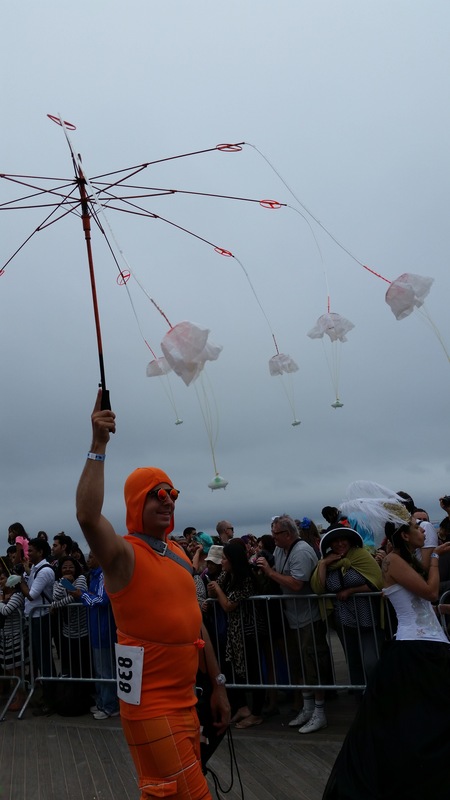 Once we found a good spot from which to watch the parade (through Luna Park, along the boardwalk), the parade went on forever and there were lots of innovative costumes to be seen. 4. 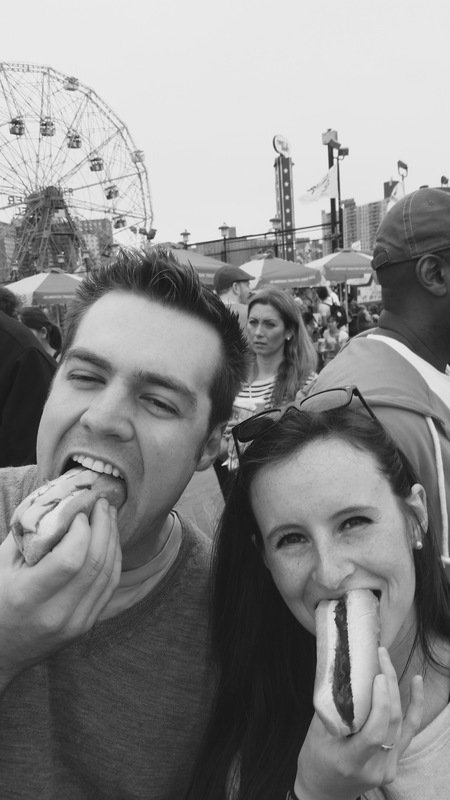 Coney Island is home to the original Nathan’s Famous hotdogs. Yum. 5. 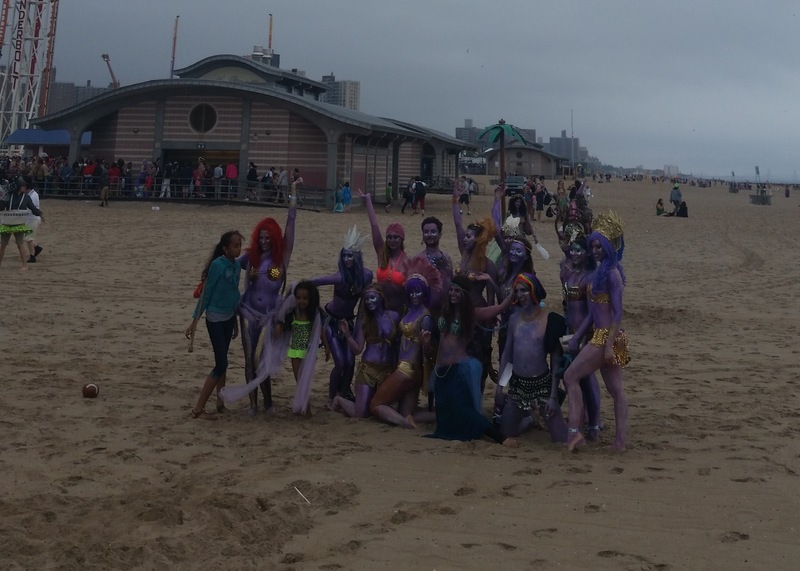 Visiting the beach following the parade was a great experience, enhanced by the presence of post-parade mermaids. It’s easy to forget in NYC that there are pretty substantial patches of nature to visit close by, if you seek them out. 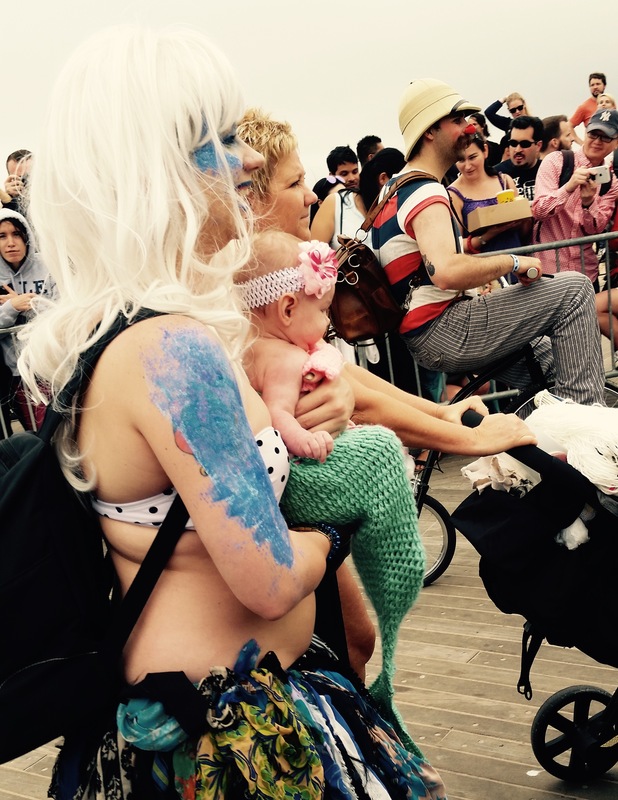 In short, the Mermaid Parade was an excellent initiation for a Coney Island virgin, and I recommend the experience to NY visitors and residents alike. Mark your calendar for next June!